Bingo patterns make the game of bingo interesting – as well as a whole lot more fun. Here, we take a look at some of the world’s top bingo patterns. Bingo patterns, sometimes referred to as bingo card patterns, make the game of bingo much more exciting. When bingo was first invented, players strove to get a straight line in any direction; while this particular pattern is still popular, there are many others to try. A blank bingo card doesn’t have a highlighted pattern, so playing bingo patterns on one of these cards can be a bit challenging unless you’re an expert player. On the other hand, you can play any game you like with these cards because there’s no highlighting to cause confusion or distraction. Arrowhead – This pattern involves the corner spot as well as the two spots diagonal to the corner and the three spots adjacent to those. You can make an arrowhead in any corner of your bingo card unless the game rules call for a specific corner to be filled. Block of Six – This simple pattern involves creating a block of six dots anywhere on your bingo card. 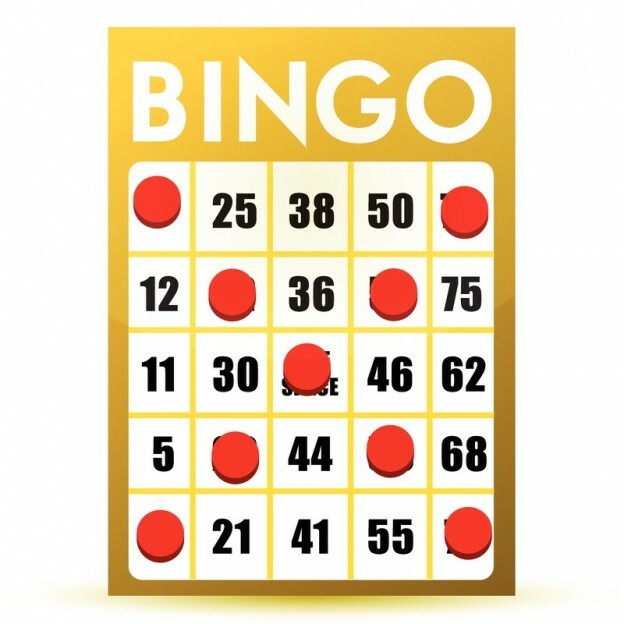 Coverall or Blackout – All spots on the bingo card must be filled in order for a win to take place. Double Bingo – Two straight lines in any direction on the bingo card. Four Corners Big – The four outer corners of the bingo card must be filled. Four Corners Small – The four corners adjacent to the center spot on the bingo card must be filled. Letter H – The letter H is formed using two of the outside lines as well as the middle row on the bingo card. You can make a letter H bingo pattern horizontally or vertically. Letter L – The uppercase letter L is formed using two perpendicular outside lines on the bingo card. You can form the letter L pattern horizontally or vertically. Letter C – The letter C is formed using three of the outside lines on the bingo card. You can form the letter C pattern in any direction. Letter S – The letter S is formed using the upper, middle, and lower lines on the bingo card, as well as the second spot under the B column and the fourth spot under the O column. Letter T – The letter T is formed using one of the outside lines on the bingo card, along with the center line. You can form the letter T in any direction. Stamp – A stamp or foursquare bingo pattern is formed by creating a block of four spots in one of the corners of your bingo card. Stamp and 4 Corners – The stamp and four corners pattern is formed by creating a block of four spots in one of the corners of your bingo card. You must also fill in the remaining three corner spots on the card. These are just some of the world’s most popular bingo patterns. You may find that patterns vary from one venue to the next, and that’s part of the fun of playing the game of bingo. Using different patterns is a great way to stay on your toes, and when it’s your turn to stand up and shout “Bingo!” you’ll feel a real sense of accomplishment when the pattern you played was a challenging one.